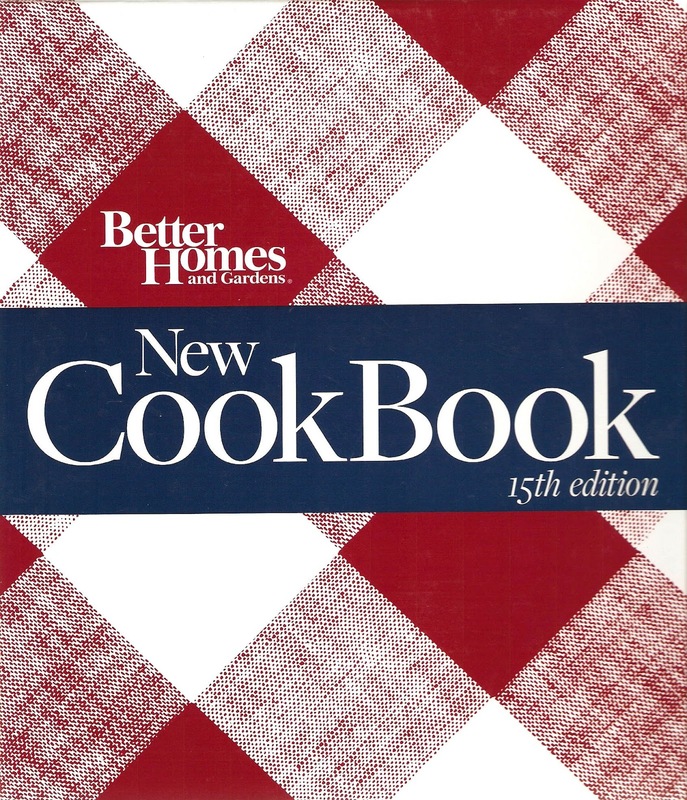 I think most of our followers and readers are familiar with the Better Homes and Gardens Red Plaid Cookbooks. Both Sue and I have various editions and we both have the newest published in 2010. Like all of the red plaid cookbooks it is geared to the beginning as well as the experienced cook. I must admit that this is not one of my favorite of the red plaid books. I felt that there were not as many actual recipes and not as many I would use. However, this is a great book for the cooks of today. There are many basic recipes with variations of the recipe and many quick to fix recipes for the working families of this era. Quite a few of the recipes are under 30 minutes or can be made before-hand and finished for your supper. We both found recipes to try, and think that today’s modern cooks will find a lot to recommend in this book. There are the regular chapters you find in most cookbooks and chapters on convenience cooking, sandwiches and pizzas and the cooking basics for the beginning cook. It really is hard to go wrong with cookbooks from Better Homes and Gardens. This book is widely available and would make a great gift for that young person just starting out on their own. I love my Better Homes & Gardens Red Plaid cookbooks! I have 3 editions: a reprint of the 1953 edition, a special gold souvenir edition of the 1965 edition (the same edition my mother used when I was growing up), and a 2007 Celebrating the Promise (Pink Ribbon/breast cancer support) edition. Each one is different and contains different information and recipes. I find it interesting how the recipes for things changed from one edition to another -- amounts/types of ingredients, cooking times, or suggested pan shapes. The 1965 edition has great meal-planning information. The 1953 is good for my life in Australia where convenience products are almost unheard of, and the 2007 Pink edition is great for nutrition information. I could not survive in my kitchen without my Red Plaid cookbooks. I have the gold souvenir edition also, bought it new when it was published. It is the most used of the cookbooks I own. Glad you enjoy yours. Take a look at this new one next time you see one.